Legionaire's Disease - Catch The Disease! 04. Who Killed Martha Mitchell? 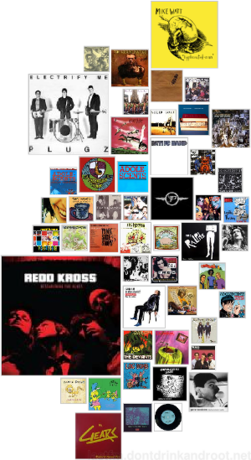 Houston, TX legend Legionaire's Disease Band had built a name for themselves amongst a thriving Houston punk scene that was producing acts like Really Red, AK-47, Vast Majority and the Hates. Legionaire's Disease Band shows were blisteringly loud and outrageous, impressing the audience with Jerry's crazed acts and ferocious attitude. Kids who saw LDB began picking up instruments and forming bands. This is the partially unofficial release of entire 1978 recording session, where the famous single 'Rather See You Dead (Than With Wool On Your Head)' is issued from. 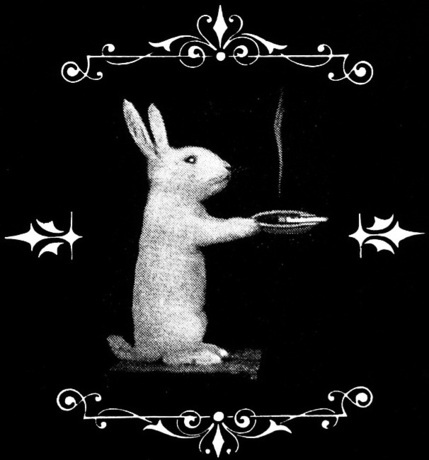 Jerry Anomie had given Lunar Lab the original 8-song master tape and authorized the repressing of just the two songs for the single. 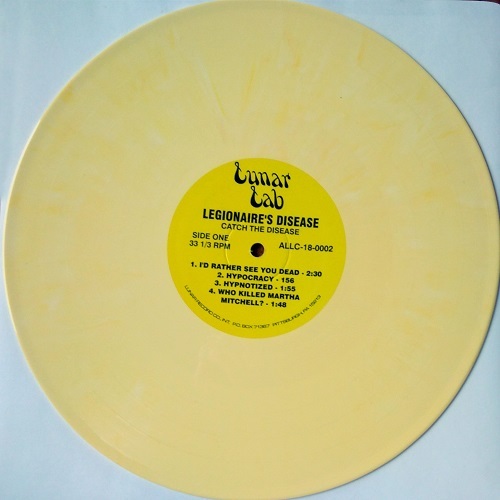 But several years after the band broke-up, Lunar Lab took it upon themselves to release the entire session on LP, despite Jerry's request for them not to. He believes it's not their best work, and in fact, their best material never even got recorded. 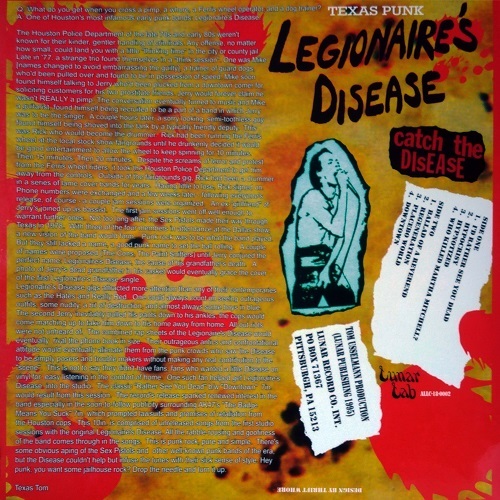 Legionaire's Disease Band only released one other record, a four song 7'' EP in 1985 on Fowl Records. 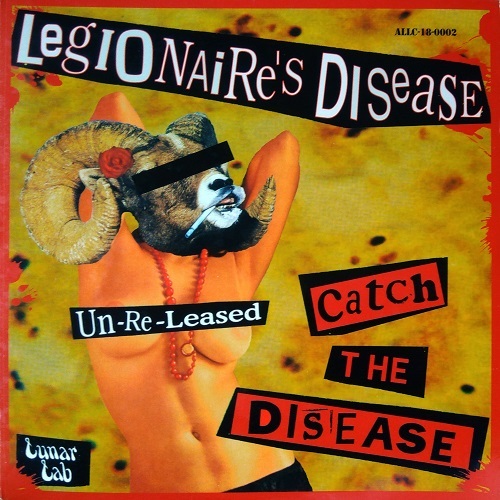 After Legionaire's Disease, Jerry went on to release an album with his next band, Anomie, which featured Duff McKagen and members of the Cro-Mags and White Zombie. Craig later died of liver cancer and Norman in a car accident. Jerry has plans to record all the songs LDB ever played. Until then, enjoy this fine piece of mid-tempo Pistols-tainted fucken punk 'n' roll! Le nom du groupe vient de la maladie qui emporta le grand-père de Jerry Anomie, c'est lui dans son cercueil qu'on peut voir sur la couverture de leur single de 1979. L'influence qu'ont eu les Pistols sur le groupe est évidente, mais la folie d'un Jerry Anomie lui a aussi été insufflée par Iggy Pop, et de mémoire de Nicki Sicki (Verbal Abuse), c'était un monstre sur scène. Le mec a quand même été jusqu'à annoncer son propre décès et apparaitre dans un cercueil ouvert pour promouvoir son disque, hein! (lire les croustillants articles linkés au dessus). Alors profitons de ce semi-pirate de Lunar Lab pour entrevoir un instant ce que pouvait donner le groupe sur scène... Des apparitions qu'on peut imaginer tonitruantes et déjantées, comme le confirment les témoignages écrits sur le phénomène. Allez, bon vent chaud, mais n'allez pas vous choper cette vilaine infection pulmonaire hein, surtout quand on sait que son incidence en France est de 1540 cas en 2010 selon l'institut de veille sanitaire, et en augmentation de 28 % par rapport à 2009. Ach so! Same Rip specs as usual, now I'm just gonna say BAAAAAAAAAAAAAAAAAAHH !